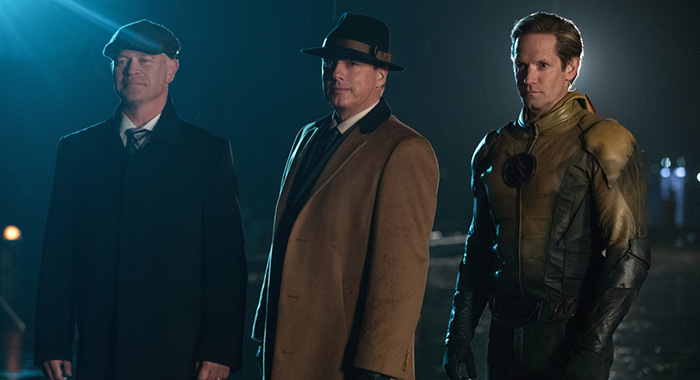 The Legion of Doom, history bros, humor, and guest stars like Matt Ryan as John Constantine are just a few of the reasons to love the new Legends. In an unorthodox scheduling move, DC’s Legends of Tomorrow and Supergirl are sharing the Monday night 9 p.m. timeslot as both finish their third seasons. Starting next Monday, Legends airs in place of Supergirl, which will in return in April. To some, the split-scheduling suggests a loss in confidence in The CW’s strangest superhero show. 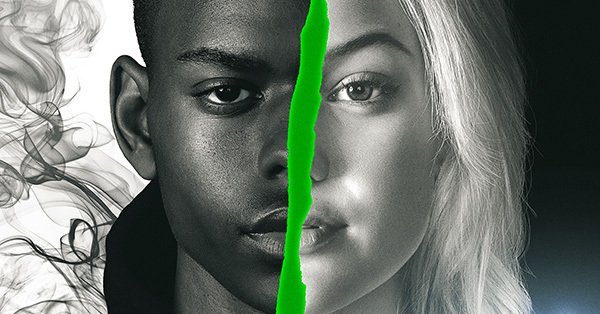 But according to CW President Mark Pedowitz, its audience is incredibly loyal and followed the show from its original Thursday night slot to Tuesdays. Presumably, they will be there for the Monday night move as well. 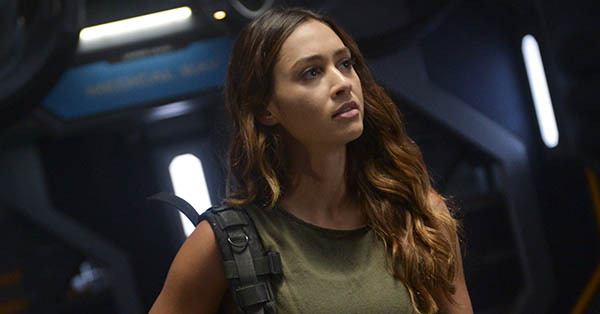 But if you walked away from Legends, here are six reasons to give the show another chance. If you walked away, chances are it occurred during or near the end of the first season. And even the most dedicated fan of the series will admit its first year was a rocky beginning. 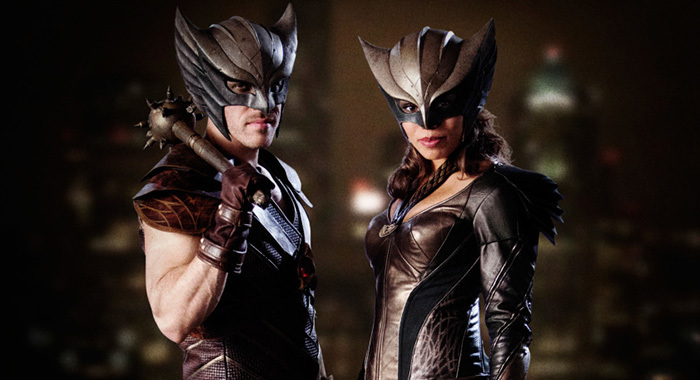 The romance between Carter Hall (Falk Hentschel) and Kendra Saunders (Ciara Renee) was one of the weakest in the entire Arrowverse. The season-long fight against Vandal Savage (Casper Crump) – a worthy opponent on paper and in the comics – failed to create much momentum. 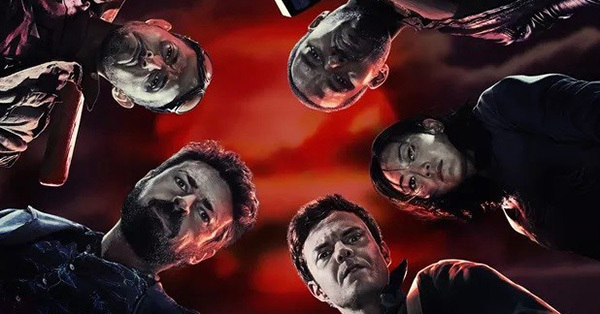 But the second season removed those elements and found a new premise for the show: a group of misfits tooling around time and getting into trouble. All the while, they are chased by a charismatic group of villains and the man who teamed them up in the first place. The soft revamp focused the show while giving it a greater freedom to play with the time travel element with lively visits to the Old West, the 1940s, and even the Stone Age. 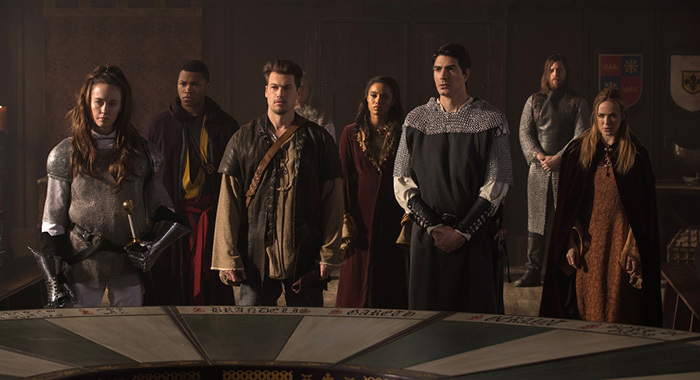 A new romance between newcomers Nate Heywood (Nick Zano) and Amaya Jiwe (Maisie Richardson-Sellers) worked in ways the Hawkes never did. But perhaps the most important change to the show was adopting the devil-may-care attitude of Mick Rory (Dominic Purcell), the semi-reformed pyromaniac and thief. Suddenly, traveling in time was fun. 2. Nate Heywood and Ray Palmer – History Bros! And no two characters adopted that sense of fun better than Nate and Ray Palmer (Brandon Routh). Nate was introduced as an archeologist, but his fanboy enthusiasm consistently disarmed his researcher’s eye, leading to even bigger changes to the timestream than the Legends hoped to avoid. But almost always at his side to squee when meeting people like George Lucas and King Arthur is Ray, a clever scientist who also can’t help but want to be at a Comic-Con as long and as deep as history himself. In that Camelot episode — which turned out to be the creation of a timelost superhero — Ray reveals his admiration for the time to Sir Galahad. When the knight is later killed in a sneak attack, Ray offers to take his place despite Nate revealing that a “Sir Raymond of the Palms” suddenly appeared in the Arthurian legend and is fated to die on the battlefield. While it seems Ray’s childhood wish gets the best of him, he heeds Nate’s words and wears an extra layer of protection during the fated battle against. Shortly thereafter, the two find themselves on the set of a low-budget sci-fi movie assisting George Lucas. The two could not be more thrilled as Star Wars inspired Ray to study the sciences and Indiana Jones led Nate to the path of anthropology. But when their fanboying scares Lucas into quitting film school, they suddenly lose all knowledge of their original pursuits. Its clever turns like the this which makes the show a rewarding watch week after week. But not every moment boils down to goofing off in time; and Legends knows how to switch to seriousness. Over the course of the first two seasons, Sara Lance (Caity Lotz) the undead Canary of Arrow fame went from reckless brawler with a bottle of Jack Daniels in her hand to a competent team leader. Original team captain Rip Hunter (Arthur Darvill) later claimed that was his intention from the start, but it also looks like a happy accident as time often plays tricks on him. The end result for Sara is a role she was meant to have, but could never find in the Star City of Oliver Queen or in the League of Assassin’s stronghold in Nanda Parbat (although she has made her way there to recenter herself once or twice). 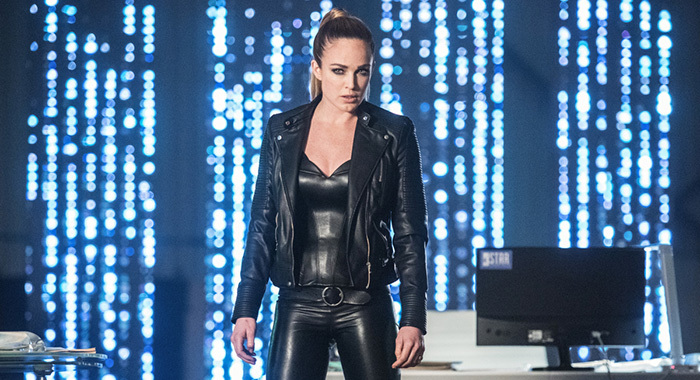 But the toughest moment for Sara occurred when she learned her sister Laurel (Katie Cassidy) was killed at the hands of magician Damien Darhk (Neal McDonough). When a younger Darkh emerged as their enemy, it took everything in her power to avoid assassinating him and wrecking the timeline. The fact she resisted it despite a couple of good opportunities to avenge Laurel prove she has grown a great deal since her post-resurrection impulsiveness. Granted, she can still be impulsive from time to time. That sort of character growth can be seen in the Firestorm pair of Jax (Franz Drameh) and Martin Stein (Victor Garber). Still strangers for the most part when they got aboard the Legends’ timeship, they were definitely family by the end of their story earlier this year thanks to body-swapping, repeated encounter with Stein’s younger self, and a dangerous rescue from a Soviet gulag. But something has to motivate all this time travel, and it typically emanates from the Legion of Doom. Named in honor of the Super Friends’ antagonists, season 2 brought Darhk, Malcolm Merlyn (John Barrowman), and the Reverse-Flash (Matt Letscher) together under a common goal: claim the Spear of Destiny and rewrite their pasts. Though the term “Legion of Doom” was met with derision by Sara when Nate and Ray first used it, Darhk himself fell in love with it, which is key to understanding the villain’s role on Legends. McDonough, who returns this year as Darhk following the events of Arrow’s fourth season, delights in his villainy. Unlike the darker or more complicated big bads like Zoom (Teddy Sears and the voice of Tony Todd) or Clifford DeVoe (Neil Sandilands), Darhk enjoys himself. He was that way on Arrow as well, but as they voice of the opposition, he brings an energy Savage lacked in Legends‘ first season. Also, Darhk’s sense of fun is infectious. Malcolm Merlyn starts to laugh more and even when the pair are trying to stab each other in the back, there’s a good-natured sense about it. But the Legion of Doom can be a serious threat. Reverse-Flash, desperate to stop a time-wraith from erasing him, was all business until he was seemingly victorious. And Darkh’s partner this year — the unseen Mallus (voiced by John Noble) — is not the quippy confrere Malcolm Merlyn was last year. Yet, in balancing that sense of menace with a shot of glee, the Legion of Doom manages to be the most engaging set of villains around. But what sets Legends apart the most is its willingness to be funny. Where The Flash occasionally remembers it was originally the show with the lighter tone and shrinks Cisco (Carlos Valdes) and Ralph (Hartley Sawyer) to LEGO minifig size, Legends will set an entire episode around Christmas turning into an Odinsday celebration thanks to a timelost Christmas gift named Beebo. It even uses the “Merry Christmas” greeting to determine whether or not the team saved Christmas or bungled things up worse. Another recent episodes saw a young Ray Palmer (Jack Fisher) living out the plot of E.T. : The Extra-terrestrial with deadly Dominators instead of a benevolent mushroom creature (or whatever E.T. is supposed to be). The jokes come fast as Nate finds himself attracted to Ray’s mother; which the shape-shifting Dominator matron uses against him. Also, newcomer Zari (Tala Ashe) openly mocks the team’s costumes despite putting one on herself. Though Mick Rory’s complicated relationship with his father was explored during a trip to the Vietnam War recently, his cutting remarks and permanently affixed beer bottle are always a guaranteed laugh. But his drinking habit also led to television’s only funny intervention as an alternate reality version of his old friend Leonard Snart (Wentworth Miller), pointed out his chemical dependence. Mick’s attempt to go cold turkey underscores Purcell’s comedic chops and the show’s ability to find a comedic edge in its darker elements. Constantine fans will be happy to know that Matt Ryan is making another appearance as the trench-coat-wearing magician and grifter. This time, he needs Sara’s help to exorcise a demon who happens to know her name. If the show is bringing the team to an asylum with Constantine, you know you can expect at least two extended Exorcist jokes. And in the weeks ahead, Wally West (Keiynan Lonsdale) debuts as a permanent fixture on Legends. Criminally underused on The Flash since season four began, Wally’s unfortunate also-ran (pun intended) status makes him a perfect addition to the team. 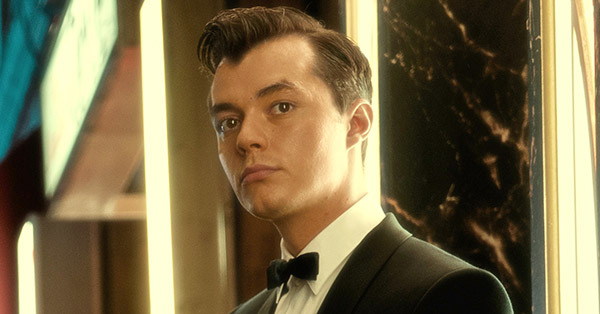 He and Nate are already friends, as seen in the first episode of Legends‘ third season. He is also a dependable fighter, as seen in 2017’s “Crisis on Earth-X” crossover event. 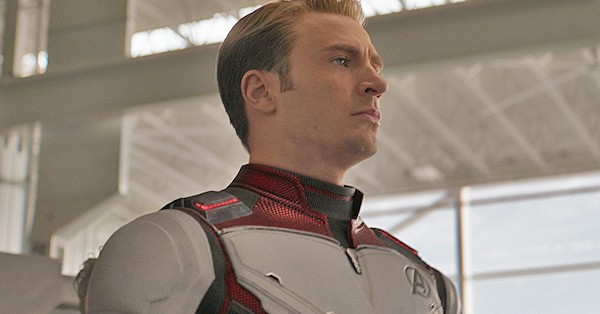 His speedster powers also set him apart from the motley assortment of gadgets, powers and fighting prowess aboard the Waverider. 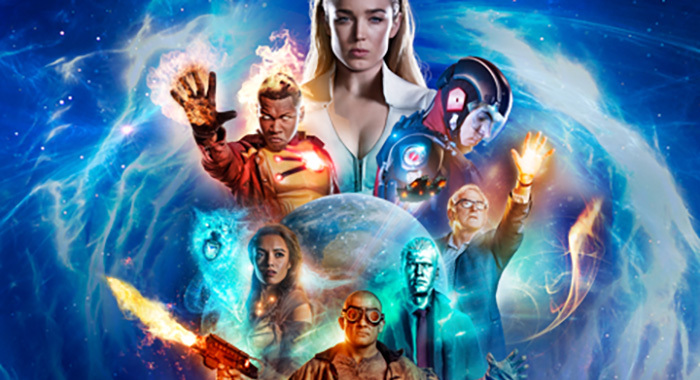 DC’s Legends of Tomorrow is definitely the breeziest of The CW superhero shows, but its mix of humor, pathos, ridiculous plots and character growth also makes it the closest thing to reading a late-1980s or early-1990s comic book. The team is also fun to be around as they experience the very same thrill viewers get by seeing Julius Caesar incite a bunch a frat bros into crossing the Rubicon. Well, it was really Aruba in 2017. You kind of had to be there. And if you weren’t, there’s never been a better time to give Legends of Tomorrow another shot. DC’s Legends of Tomorrow returns Monday, February 12 at 9/8C on The CW.